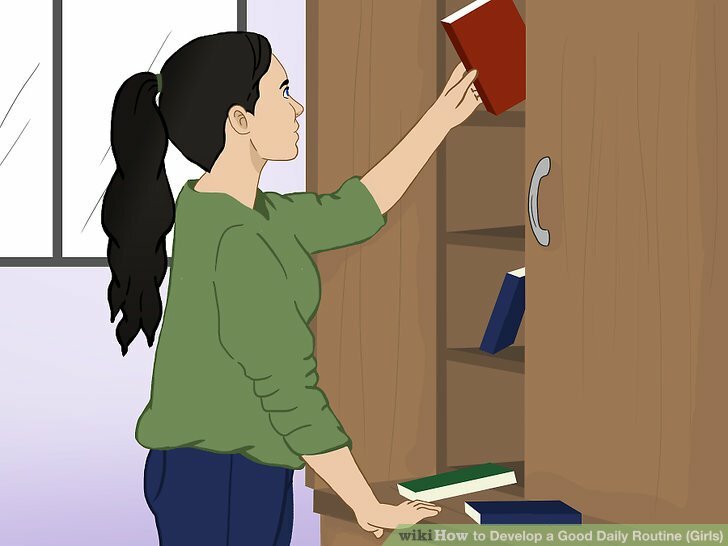 A good daily routine makes it easier to stay organized, which can reduce your stress and save time. Following a consistent daily routine will help you get the most out of every day! It’s important to wake up for school at the same time everyday so that your body is used to getting up at your scheduled time. Even on the weekends, try not to wake up more than half an hour later than you usually do for school days. 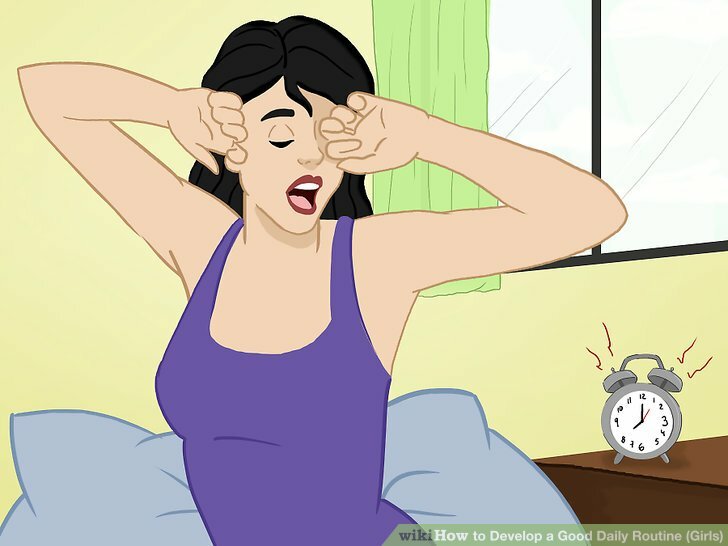 If you have trouble waking up on your own, set an alarm clock or ask your parents to wake you up in the morning. If you still have trouble waking up with an alarm clock, put your alarm clock in a different room or somewhere farther away from your bed. This way, you’ll be forced to get out of bed and turn off your alarm. Shower and dress for the day. 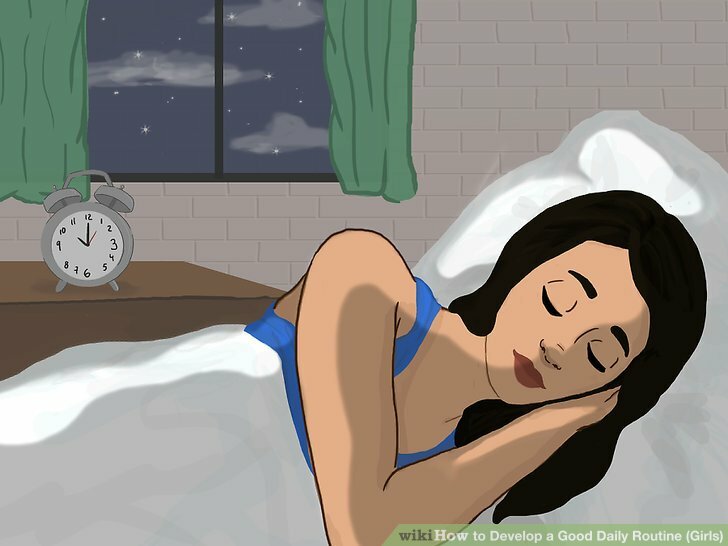 If you prefer to shower at night, washing your face in the morning can help to wake you up. Don’t forget to brush and floss your teeth. If you like to use makeup, use more neutral colors like peaches, browns, and yellows for a normal school day. When it comes to shoes, think about what you’ll be doing that day. If you’ve got soccer practice after school pack your socks and cleats. If you’re going to be standing around in choir class, don’t wear heels. Eat a wholesome, healthy breakfast. What you eat for breakfast will affect your performance for the rest of the day. Get good carbs, fiber, and some protein. 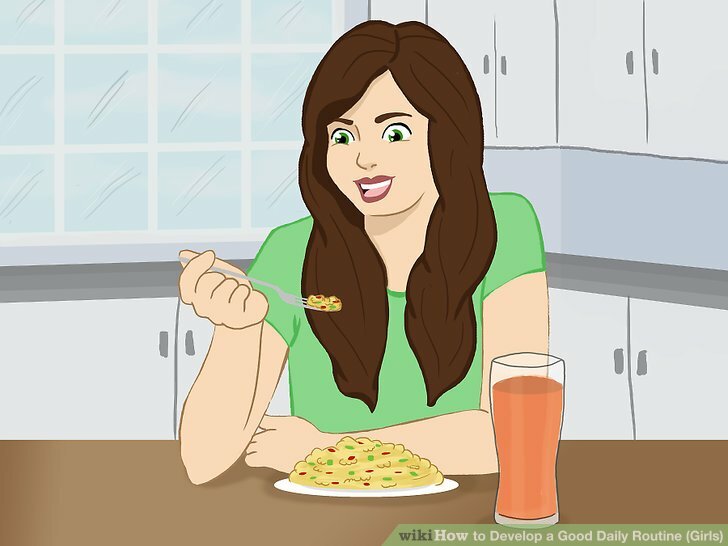 Healthy options include oatmeal, a smoothie, yogurt, or eggs. Even if you’re short on time, grab something to go like a banana or apple. Keep an agenda or planner. Using an agenda or planner will help you keep track of your classes, homework, and extracurricular activities. At the beginning of the school year or semester, make sure you have an updated class schedule written down or printed out in your planner. 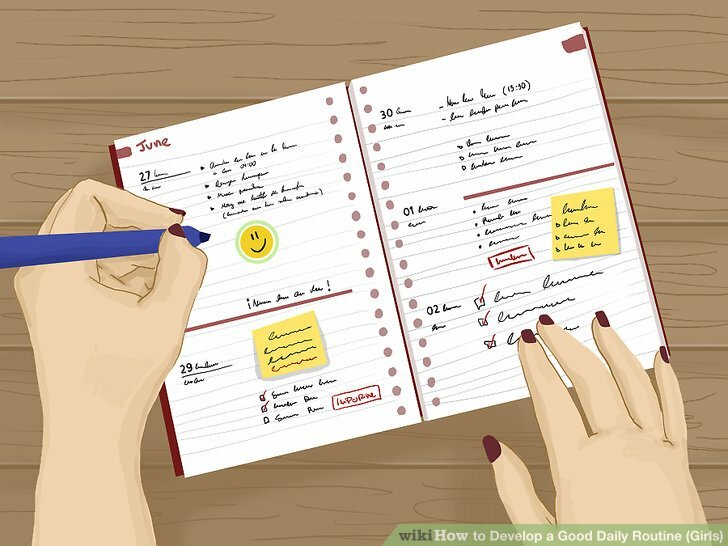 Writing down your routine will help you keep track of what you have to do on a daily basis. If you have several different classes, keep track of the syllabus for each class. 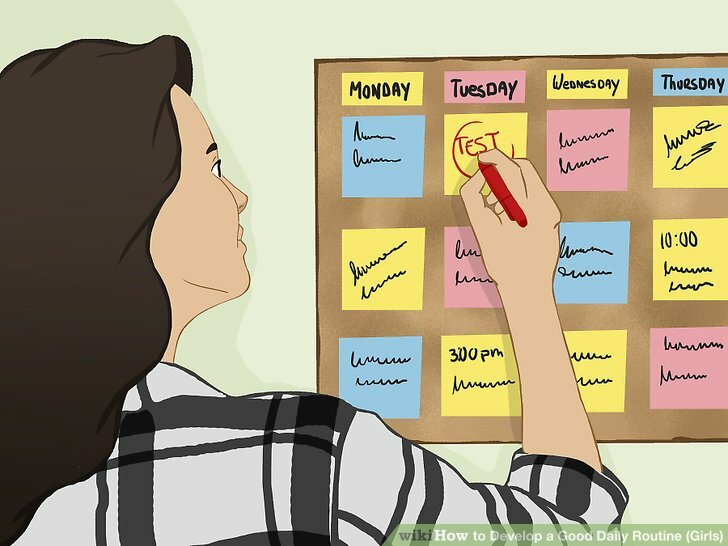 If you see that you have a big exam on a certain date for one class, it might be a good idea to prioritize the amount of time studying for that exam over smaller assignments in other classes. Breaking up large tasks into smaller tasks and doing the small tasks one at a time can help you manage your work. Use the weekend to reset and relax. Think ahead and get ready for the rest of the week. Make time on Sunday to make sure you’re ready to go on Monday. Small chores each night, like tidying up your room, can reduce longer cleaning sessions during the weekend. Cleaning also helps to reduce clutter that can be distracting when you’re trying to do your homework or relax. Save time for homework each day. Make sure you have enough time in the afternoon or at night to complete your homework so you don’t feel rushed trying to get it done. The amount of time you set aside for homework each day depends on how much homework you have. Exercise is important in maintaining a healthy lifestyle. It also positively influences your mental health by releasing endorphins that improve your self-confidence and mood. Depending on what works best for your schedule, you can exercise in the morning or right after school. 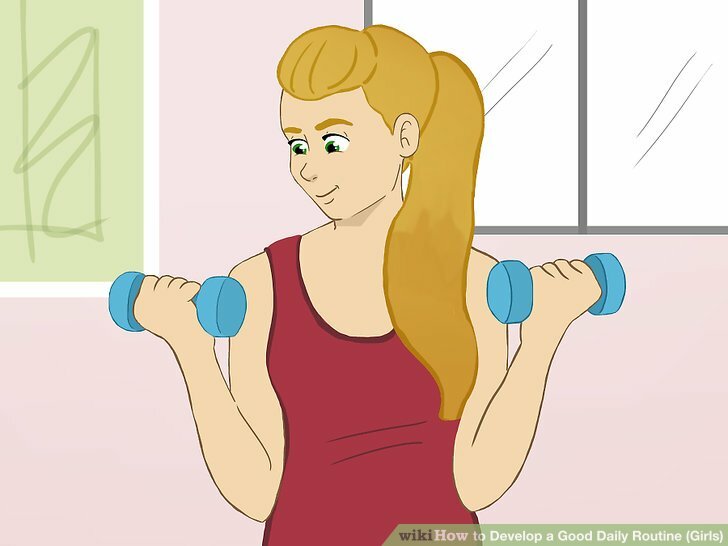 Working out can increase your energy level so try to finish your exercise routine at least three hours before bedtime so you have enough time to relax before bed. Exercise can be a good way for you to make time for yourself, but if you had P.E. 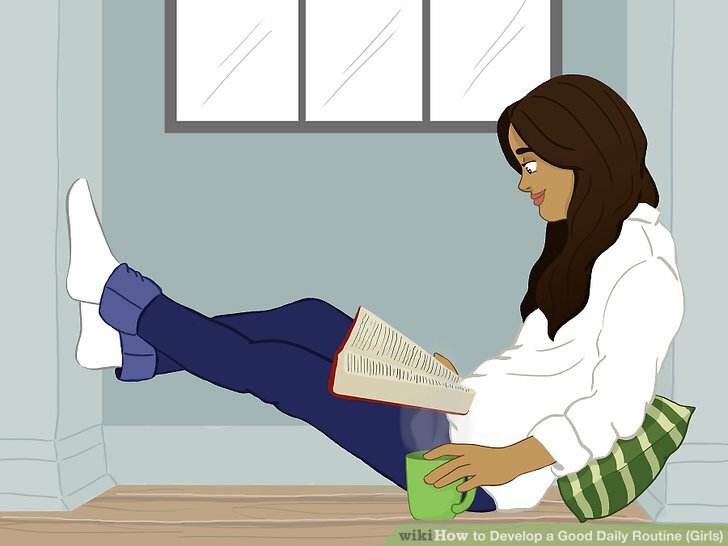 or sports practice during the day, find another way to help you relax like reading a book, journaling, or socializing with friends and family. Pick out an outfit the night before. 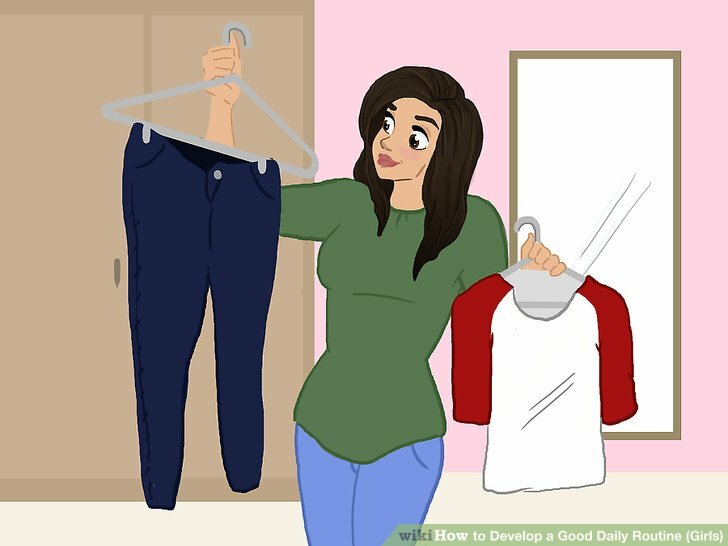 A good choice for a typical school day is a nice skirt or a pair of jeans, and a top that you know you will be comfy in and that you can dress up with jewelry and accessories. Look at the weather forecast for the next day and pick your outfit accordingly. If it’s going to be cold the next day, make sure to have warm clothing like a coat or scarf set aside. Pack your bag for the next day. Put the books and the homework you’ll need for the next day in your bag. 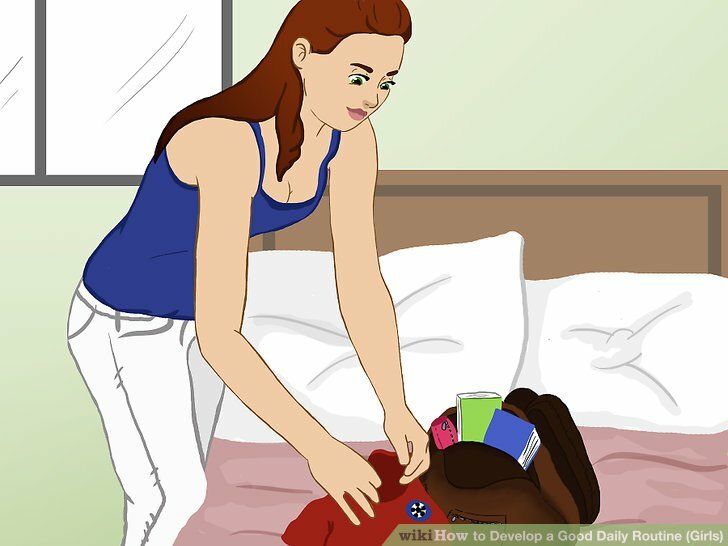 If you have extracurricular activities the next day, make sure what you need is ready to go for the next morning. If you have band practice, make sure you have your instrument packed up and ready for school. If you have sports practice, make sure your athletic equipment is also packed up. 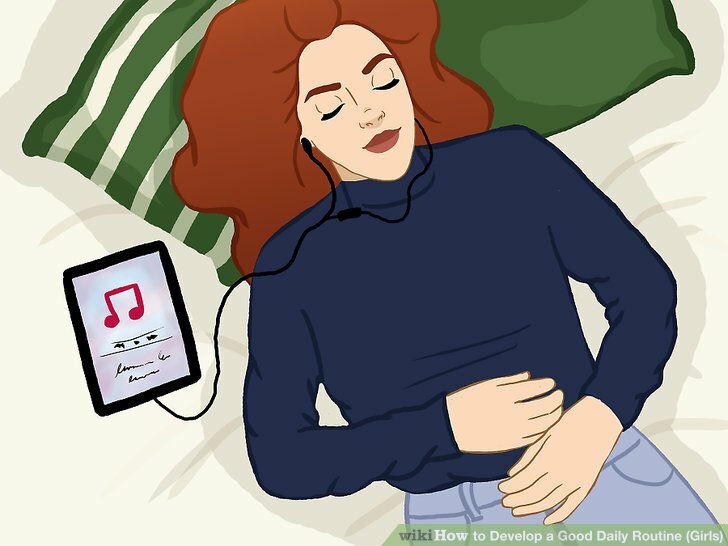 Doing these things the night before will save you time in the morning. Look at your agenda or planner to see what you’ll need to pack in terms of a sweater, an umbrella, homework, and permission slips. Get at least 8-10 hours of sleep. Keeping a good sleep schedule has positive effects on your health and can make you feel better. Don’t drink caffeine and make your room as dark as possible. Minimize blue light from electronic screens like your cellphone or computer screen.